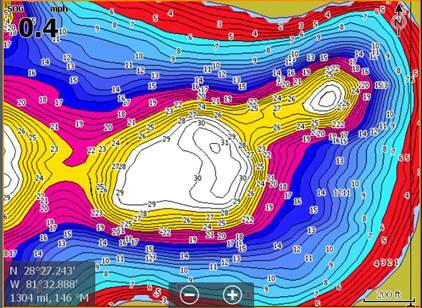 C-MAP, a leader in digital marine cartography and cloud-based mapping, announced today the release of the new Florida Trophy Lakes Chart card. Targeted towards Florida boaters interested in previously uncharted lakes, the new chart card offers digital contour maps of small- to medium-sized lakes popular with trophy fish anglers. All maps on the card are compatible with C-MAP Genesis Custom Color Depth Shading allowing users to set two separate custom-color depth palettes for every map and select from 16 colors to highlight as many as 10 customized depth ranges. For more information on C-MAP Florida Trophy Lakes Charts, please visit www.c-map.com.